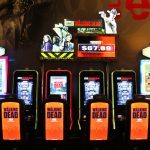 Having been designing and supplying single player casino games since 1994, Microgaming turned their attention to the multi-player casino games market place recently and the have released a small, yet diverse range of community styled games which online casino players can enjoy and play alongside other players. 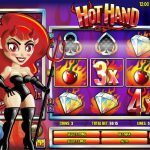 These multi-player casino games are available to play via their downloadable gaming platform, and much like their standard games come with various stake level options, and plenty of player adjustable controls. Below is listed the current crop of multi-player casino games from Microgaming, along with an overview of what each respective game has to offer by way of payouts, features and in regards to the slot games, bonus rounds. 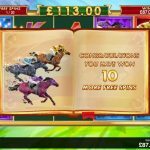 There are several Wheel of Wealth single player slots found in Microgaming powered casinos, however it is the Wheel of Wheel Special Edition game that has been given the multi-player makeover. If you opt to give this 25 payline game a try, then as you are playing it you will of course trigger a winning payout whenever a winning combination spins in on any activated payline. However each time you spin in two or more of the Scatter symbols then you are awarded a special Multiplier based on the amount of coins you wagered on the base game spin those symbols spun in on. When the bonus game is triggered all players in live play on this slot then get to play the spin the wheel bonus game, you will be designated your own “pointer” and whichever segment of the wheel spins in opposite your pointer you are awarded the respective number of coins which is then multiplied by your accumulated Multiplier value. The multi-player Roulette game on offer at Microgaming powered casino sites is the European Roulette variant, this single zero games comes with a house edge of 2.70% and you are given the option of playing on three different tables when you opt to play it. The only difference between each multi-player Roulette table is the amount of time between spins of the wheel, the first room is for those players who like a quick playing Roulette session, as there is only 20 minutes between each spin of the wheel, so you will therefore need to get your bets onto the tables betting layout quickly! The other two multi-player Roulette tables on offer at Microgaming powered sites offer 40 seconds and 60 seconds between each spin of the wheel, so choose one of these two options if you are seeking a slower paced session! The minimum wagers permitted on any betting location is a modest 0.50 with the maximum bet varying dependent on which positions you have chosen to bet on, with you being able to wager up to 400.00 on the even money positions and a maximum of 50.00 on a single number. If you opt to play the multi-player No Worries slot, when you first launch it you will be prompted to pick one of three coin values on which your base game spins will be set, these are 0.01, 0.02 and 0.05. When you are playing this No Worries multi-player slot you will be able to chat with all other players playing the game via the chat box. Much like the single player game this one comes with a Wild Multiplier symbol that doubles the value of any winning combination it helps to complete. If any single base game spin results in a Boomerang symbol appearing on each reel, then a set of free spins are awarded. 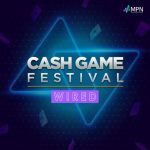 Once you have played out your free spins you are then given the option of collecting your accumulated winnings, or giving them up in return for a randomly awarded amount of cash or you can opt to replay the free spins a second time in the hope you will amass a better winning payout. An additional community bonus game can be triggered and when it does all players get to take part in a Jackpot Bonus game, this is a wheel spinning bonus round where you could be awarded one of several additional winning payouts dependent on the outcome of the wheel spin. 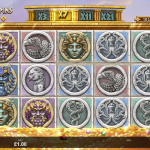 The multi player Isis slot is based on a 40 payline, 5 reel version of the game, this is a multi stake game and as such you will be able to set the number of paylines you wish to play per spin along with the number and value of coins set into play. The main difference between this game and the original Isis slot is that whenever you spin in two or more of the Scatter symbols you are awarded a multiplier value, which is used to determine your winning payout once the free spins round has been awarded. 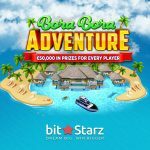 When the free spins are awarded, all players who are in live play on the slot get to play them all out together as long as they have a multiplier value above zero. Once all of the free spins have played out then whatever your accumulated multiplier value is then that will be multiplied by the winnings you have been awarded via the free spins. 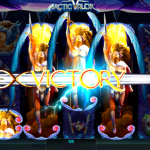 The latest slot game to be given the Microgaming multi-player makeover is the Avalon slot game, much like the single player variant this one can award players with a set of free spins however there are some subtle differences. You will need to keep what is known as the Bonus Thermometer active during your playing sessions, and this requires you to simply be spinning the reels and playing the slot alongside your fellow players. 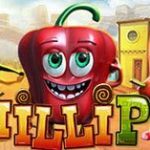 The free spins round when triggered will see you being awarded a set of 12 free spins, and it is possible to win up to a maximum of 400,000 coins during this bonus free spins round.